The Karlovo Everyday Life in the 19th and early 20th Century Ethnographic Exhibition is housed in the Mazakovs House - a monument of culture, built around 1848-1850 by economos Hristo Popvassilev - priest, teacher, scribe, founder of the girls school in Karlovo. The house is also known as the Mazakovs in the name of his brother-in-law - Major Stefan Mazakov from Veliko Tarnovo, volunteer combatant (opalchenetz) and military and public figure. Each room is arranged thematically with entirely original objects from the ethnographic museum fund. 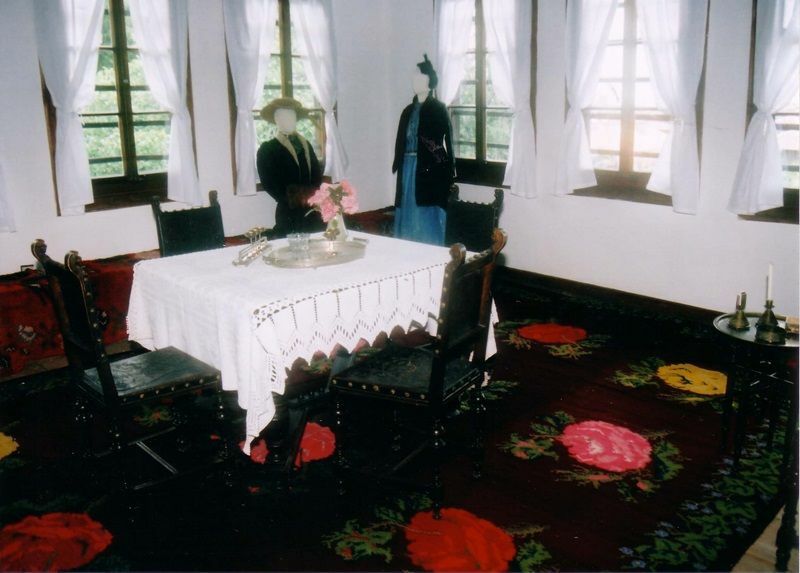 The room for the ladies, on the first floor, represents a very popular occupation among Karlovo women - the knitting of Kalofer (Brussels) lace brought to Bulgaria in the early 20th century. This lace was knitted in every house in Karlovo and girls studied the complex technique from very early age. In Karlovo, after the Liberation, knitting with shuttles made of maple, walnut or beech, with threads wound on them was the most common. A cylinder made of cloth and filled with pressed hay or sawdust was fastened on a special tripod. This type of knitting was a combination of lace with crocheted braids and a lace knitted in 5 hooks. This lace was designed for the interior or underwear and clothes decoration. Numerous original exhibits show the traditional Karlovo house kitchen where the entire family used to gather around the booming fireplace. On the second floor was created a working cabinet of Stefan Mazakov - the prominent public, a deputy from the Karlovo region in the 12th and 13th National Assembly, where he received his guests. Here you can see his portrait photograph and his coat given to the museum by the heirs. 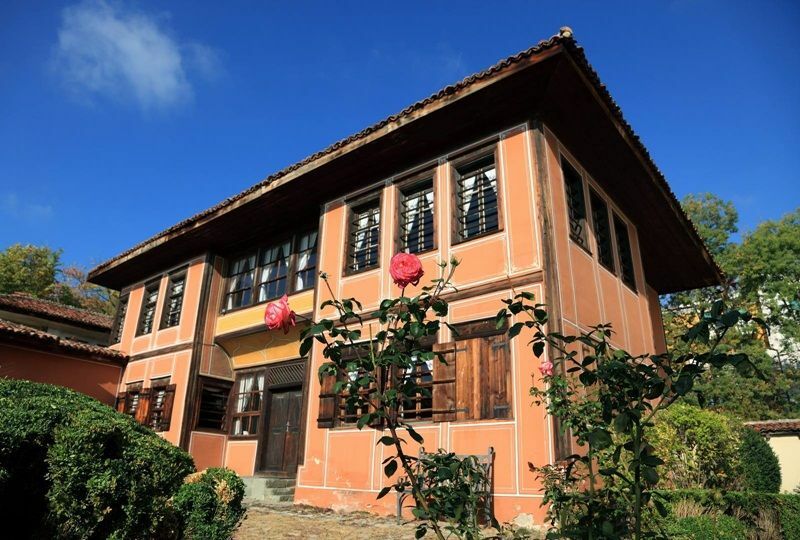 Particularly impressive are the lounge and two guest rooms on the second floor with their wood-carved ceilings and shutters, decorated with imported furniture, and original fabrics from Karlovo: doilies, embroidered covers, and tablecloths crocheted with beautiful Kalofer lace. Visitors can immerse into the typical life in Karlovo in the early 20th century. 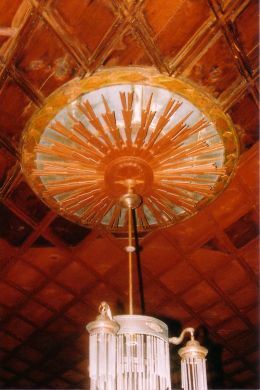 There are also exhibited city clothes from early 20th century, the table and the smoking set, given to Tsar Boris III, objects that were in his villa in the village of Banya, samovars, original gramophone from the early 20th century, etc. One of the guest rooms is furnished with objects that belonged to the well-known Karlovo donor Peka Popova, and were donated to the museum by her heirs. In the renewed exposition, there are photos of the owners of the house: economos Hristo pop Vasilev - the prominent Karlovo priest and enlightener, his family, Stefan Mazakov and his family, and the donor Peka Popova. The house is located at 3 Evstati Geshov Str. on the fringe of Starinno Karlovo Quarter.